In a small Minnesota mining town, young Krissa is sheltered from her violent father by Danny, the brother she idolizes. Danny, a budding musician, is determined to escape with his sister in tow. When the pair finally succeed, they meet Quinn, a privileged and wealthy college student. Drawn together by a passion for music, Danny and Quinn set up a successful pop group. As their stars begin to rise, Danny falls in love with fame, and Quinn and Krissa fall in love with each other. But the higher Danny, Quinn and Krissa climb, the faster their worlds crumble, until they part. Sixteen years later, their paths cross once again, three fallen stars. Danny is gravely ill. Quinn and Krissa are still in love. But to hear the music again, the three must face their joined pasts and use the lessons to create a better future. I’m ambivalent about this book. I’ve read it a couple of times and Seidel’s command of world building is as evident here as anywhere. You really feel like you are *there* as the two boys rise to fame. But there’s so much bittersweet in this romance. It is a romance, no question, but the arc of the story takes you to sad places more often than I felt triumph. The ending is poignant. It’s a story to read when you’re in the right mood, one that doesn’t mind a melancholy trip. 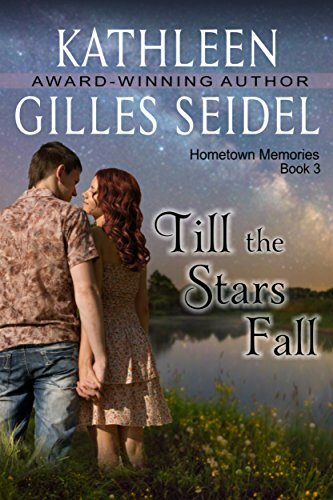 But for those who like the rockstar books, I felt like Seidel could have been a roadie at one time, the authentic feel of it is so true. I don’t think I’ve read this book. 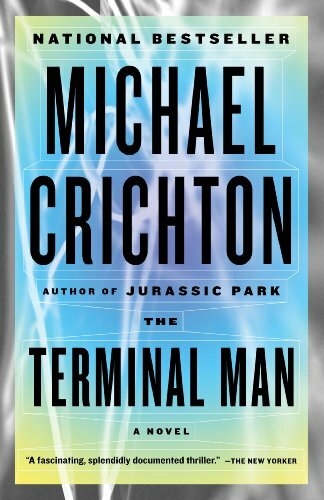 I glommed onto Crighton after Jurassic Park but fell out of love with him during Andromeda Strain. I’m still WTFing over the end of AS. A powerful autocrat with a well-hidden rebellious streak, Malcolm MacCabe doesn’t need another beautiful mistress – he needs an obedient wife. Obedience is not one of Amelia’s virtues. But he’s too enthralled by her wit and passion to let her go – even if it means risking the political reputation he is building to save his clan. Despite their intentions, every wicked embrace binds them together. But as their conflicting desires combust into insatiable hunger and unavoidable ruin, they must decide whether to pursue their personal destinies alone – or fight for the love that could destroy them both. From the reviews, it seems that the real drawback, if there is one, is the reason that the couple can’t be together. For those that rated it lower, that reason was too paltry to keep the couple apart. However, even the critical reviews thought that the characters had growth. It was free at one time so check your libraries to see if you already have it. A remarkable thriller debut of twenty-first-century espionage, by a former Deputy Assistant Secretary of State who “knows where all the bodies are buried—literally” (W. E. B. Griffin). The Golden Hour: In international politics, the hundred hours following a coup, when there is still a chance that diplomacy, a secret back channel, military action—something—may reverse the chain of events. 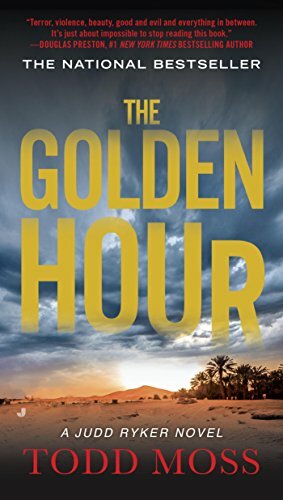 As the director of the new State Department Crisis Reaction Unit, Judd Ryker gets a chance to prove that his theory of the Golden Hour actually works, when there’s a coup in Mali. But in the real world, those hours include things he’s never even imagined. As Ryker races from Washington to Europe and across the Sahara Desert, he finds that personalities, loyalties—everything he thought he knew—begin to shift beneath his feet, and that friends and enemies come in many forms. Oh, I loved Til the Stars Fall. It was like ‘reading’ a really good episode of VH1’s Behind the Music or a well done Rock Documentary. But yeah, the romance part of it was a little on the bittersweet side. But that seems like her wheelhouse almost. Darn! None of the books I wanted are on sale in Canada!